Cozy and warm, this Celtic Tiles Afghan and will get you comfort in winter and at the same time will give the sofa or bed an elegant look. 20 squares with celtic motifs give the whole projects an intreguing appearance. Frankly speaking it is one of the most astoning blankets I’ve seen. I am quite sure you will love it too! Link to the free pattern is below. 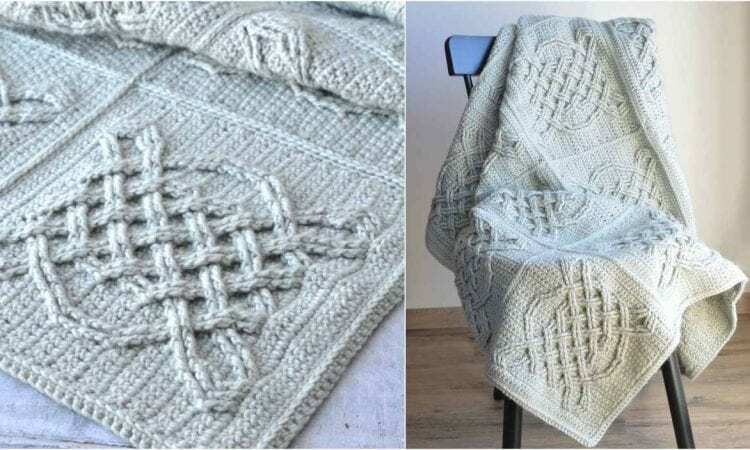 Celtic Tiles Afghan -Free Crochet Pattern is here. Don’t forget to Like us on Facebook. Share your ideas and your work on our Facebook group!